A campaign advert, sent by the Ohio GOP, I got in the mail the other day attempts to paint Rob Portman’s challenger, Ted Strickland, as a flip-flopper on abortion. 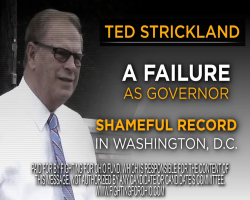 In the text of the ad it claims Planned Parenthood, which Strickland supports, is the subject of a public debate concerning ‘taxpayer funded’ abortions. The fact is that claim is a lie. This entry was posted in Politics, Progressive and tagged 2016 US Presidential Election, campaign advertising, false advertising, Senator Rob Portman, Ted Strickland on September 28, 2016 by Doug. Being election season, I get campaign mailers. One mailer I got the other day was from Governor John Kasich. On the mailer, Kaisch crows about adding 250,000 jobs. Normally that would be a good thing but when you start from a 400,000 total job loss it actually looks bad. This entry was posted in Politics, Progressive and tagged 2014 election, campaign advertising, fact checking, Governor John Kasich, job growth, unemployment on October 21, 2014 by Doug. 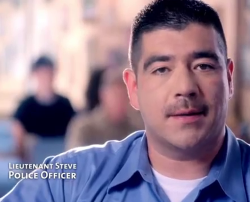 Governor Kasich has been batting a thousand for ridiculous campaign ads so far this election season. My current favorite is titled ‘He Listened’ where a police officer brushes aside Kasich’s support of the anti-union SB5 in 2011 to flog tax cuts that don’t even benefit the officer. Talk about brainwashing. 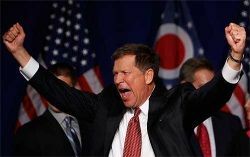 Kasich is tough! This entry was posted in Media, Politics, Progressive and tagged 2014 election, campaign advertising, Governor John Kasich, SB 5, State Issue 2 (2011), unions, we are ohio on August 26, 2014 by Doug.